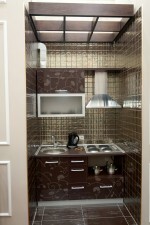 Rent apartment daily in Odessa Ukraine. 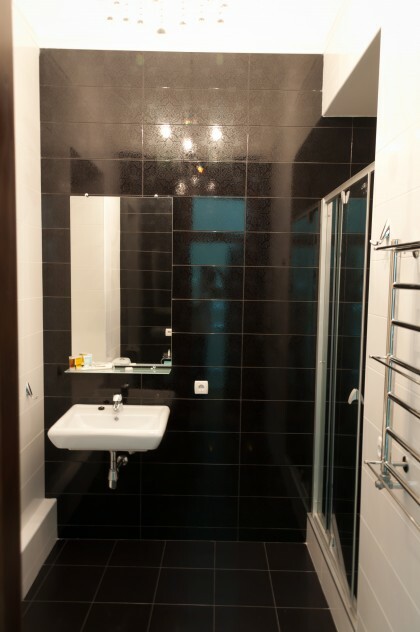 Comfortable rental apartment just after renovation with classical author design. 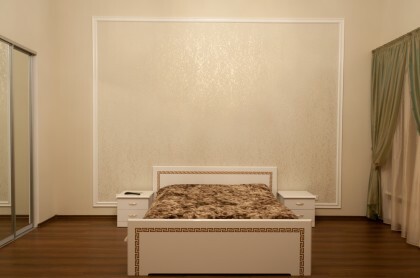 Comfortable classical studio apartment just after renovation Odessa downtown on Aleksandrovskiy Ave. The apartment is furnished with queen size bed, wardrobe, bed-side tables, LCD TV, cable TV, high speed Internet, air conditioner. Classical chandelier along with extra illumination. 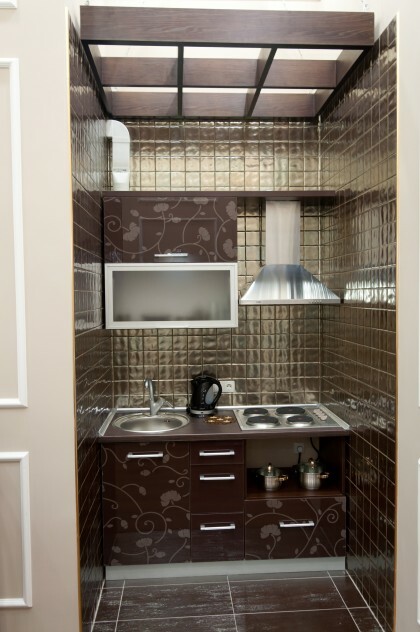 Organized, built in kitchenette is fitted with all cooking ware and appliances. Bathroom with shower cabin and wash basin. 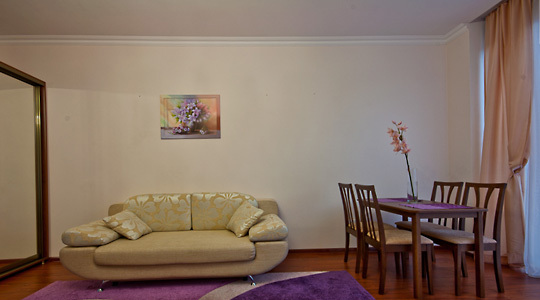 The apartment comfortably accommodates 2 persons. Smoking inside is forbiden! Apartments in the same corridor: Vega (S47), Phoenix (49), Cassiopeia (S50). Apartment Pear (B20) is in the same court yard.